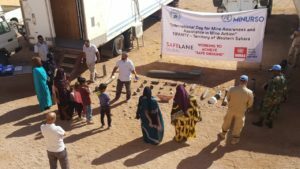 To mark International Mine Awareness Day SafeLane's wonderful Western Sahara team prepared and delivered a mine risk education and medical training session for the local Saharawi children. The 4th of April is International Mine Awareness Day. It’s a day to reflect on the devastating impact these lethal munitions continue to have, whilst considering ways to make a positive difference by supporting the clearing of contaminated communities. 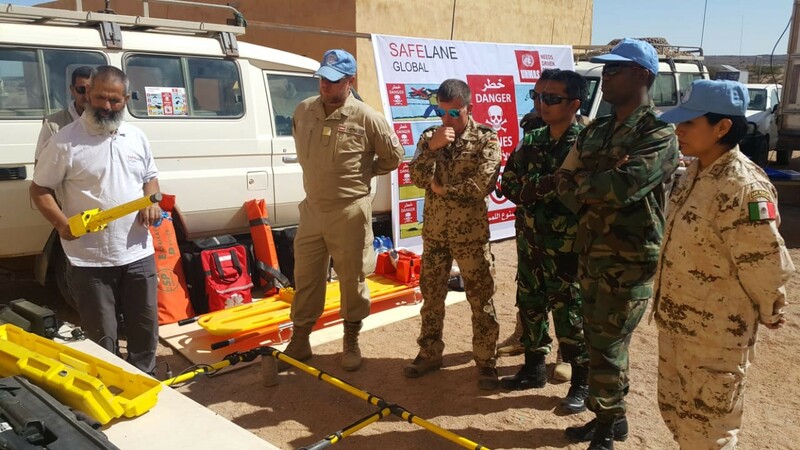 SafeLane’s worked in most of them – protecting communities by safely removing mines and other unexploded ordnance from land and marine environments. 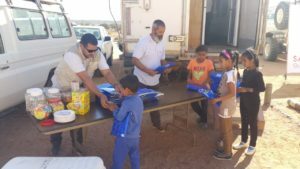 …SafeLane staff take time out to lead mine risk education events for children in the communities in which they’re working. It was a really successful day and Tony was really happy with the turnout and reception. 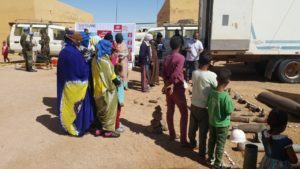 To ensure as many participants could attend the event as possible, SafeLane coordinated transport for women and children to travel from camps to the event in Tifariti. The team will be conducting additional mine risk education at the children’s school this coming Saturday when they return on the 5th April from a local holiday.